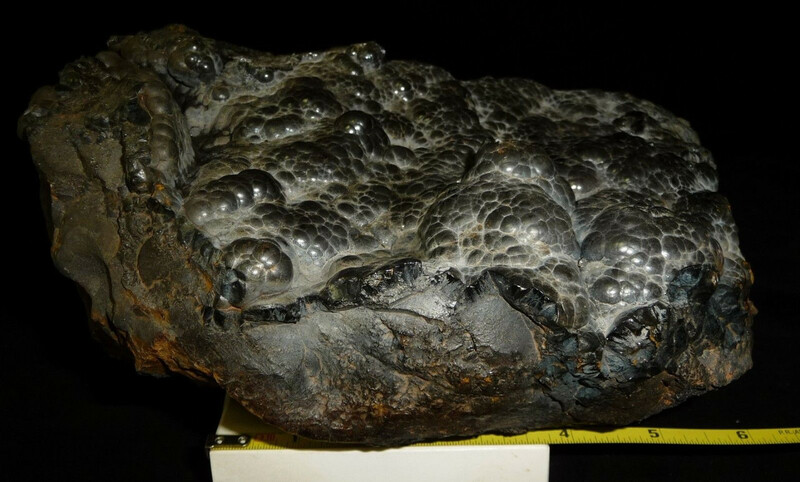 Just purchased a 14 lbs Hematite specimen from Morocco. This will be great for my collection as I don't have anything truly in the metallic family. I didn't buy it from one of my Chinese vendors so I'm going a little outside my comfort zone. Here's another one I just purchased. I got such a good deal on them I bought 2. 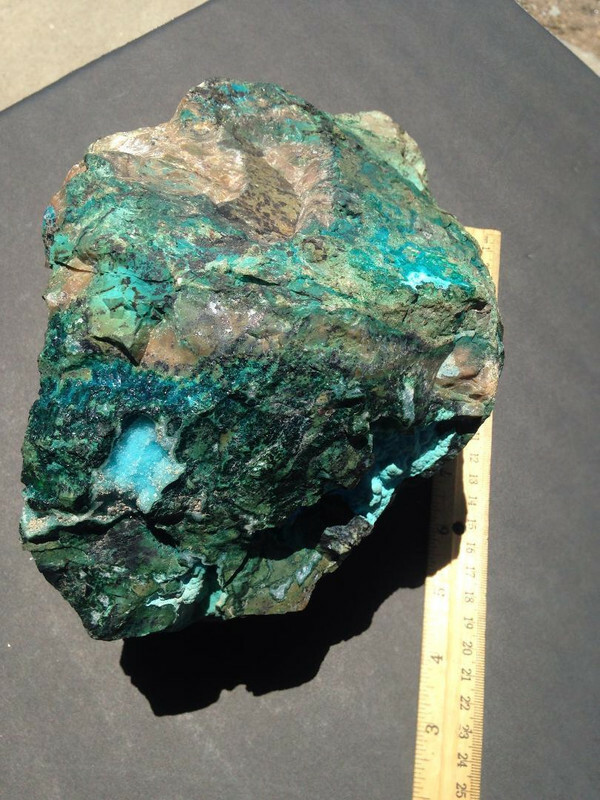 This one comes from Arizona USA and it's almost 13 LBS of a Chrysocolla with blue turquoise on copper matrix. I fell in love with the colors and it will be much different than other specimens in my collection. 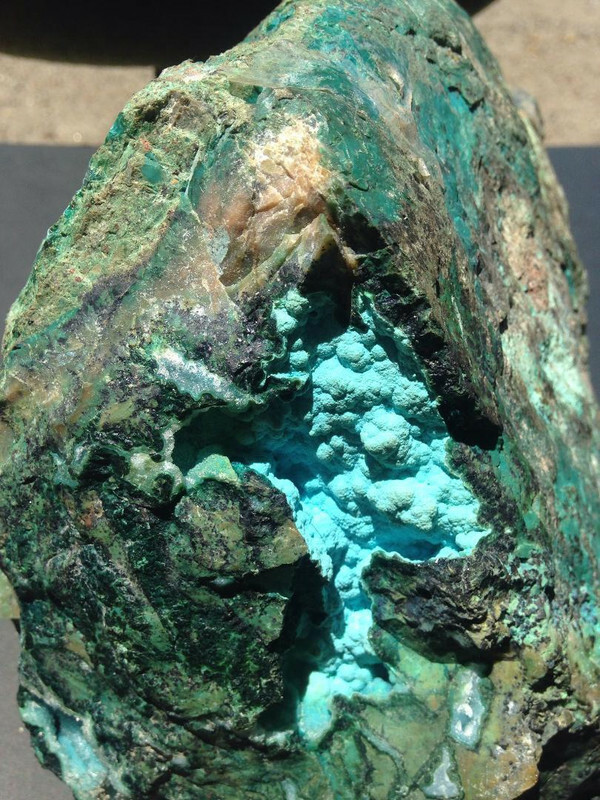 The turquoise colored inclusions are of course...turquoise. they'd sold within a week, which likely boils down to 1 weekend as they're only opened during weekends. That's why I'm keeping my fingers crossed they still got some by the time I get there! I got a gorgeous amethyst rose, wonderful energy! And I have the golden phantom selenite I wanted. They weren't even expensive, about a quarter what the only seller on Etsy asks for them. I got a long piece, approx 22 cm, and one that is approx 12 cm long. A small Lemurian Light crystal point from Colombia with a beautiful rainbow in it. the rest were larger and over E100. Plus, they didn't really do much for me. Lucky crystal day today, I received a beautiful apophyllite cluster. I adore apophyllite! Not sure why but it always calls to me. It's so gorgeous. This is my first piece of it, a nice sized cluster too. Was also given more of the cut and polished tumbles I adore, more blue aragonite, chryscolla, purpurite, blue topaz, orange calcite, an amethyst heart and pink adventurine. Oh! And my first golden healer tumble. Have a few pretty small points already which are a beautiful yellow but I really wanted a larger golden healer. Also got a small danburite point very jeweled and a large lemon quartz point tower. Good haul. :) Really falling in love with that blue topaz and the purpurite is easy for me to feel, so that's a good sign I think. There was some merlinite and other shamanic stones calling but I will have to come back for those. And a giant tangerine quartz I really wanted lol. beautiful energy! I tried to find a photo online, failed. I guess they're really rare, hihi. Uluru but Mt Hay in Queensland. I looked it up online, turns out Chrome Chalcedony is from Newman, West Australia! I knew it! - gorgeous polychrome jasper heart with light blue, lilac. Even the owner said it was a beautiful piece, hihi.